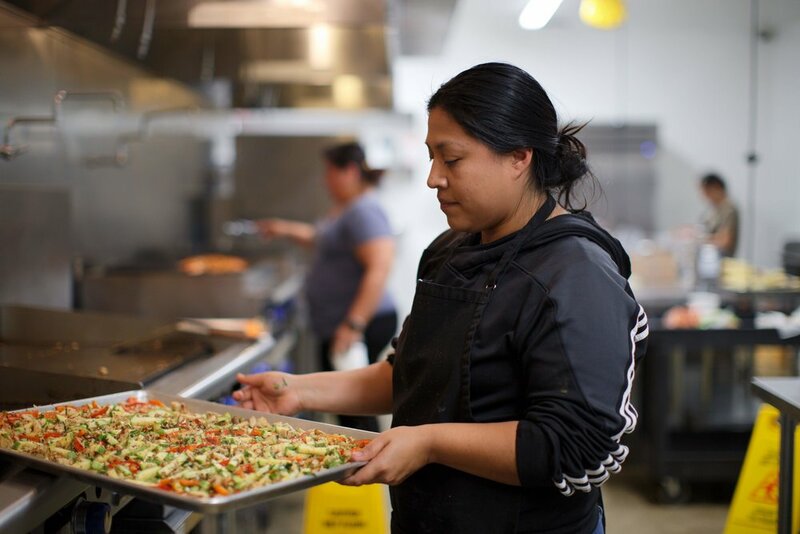 From a full-time stay at home mom, to a personal chef, Martha has blessed our team with her culinary skills and love of food! Through the power of Instagram and setting intentions, her story is a prime example of the power of manifestation! Instagram has become a pretty powerful tool for businesses these days in a number of ways, tell us how you got involved with Todo Verde. I actually found Todo Verde through the accounts you might know feature. I liked what Todo Verde was doing, so I started following the page. I saw a post about Todo Verde search for kitchen staff. I’ve worked in a kitchen full-time and was a personal chef for a while too, so I sent Jocelyn my resume and it just happened. What inspired you to work in a kitchen? I have always enjoyed cooking. Our family used to have a restaurant that is no longer open. It was run by my mother and sisters. My father convinced my mother to close it down because he felt that men would go in there just to gawk at a restaurant run by women. I’m a little bummed that my mom listened to him, but in the end I’m okay with it. Working with TV, do you feel pressure to aesthetically be healthy, vegan, vegetarian, etc? I grew up in a family that had super healthy practices. My family is from Michoacan and I came to the U.S. when I was 5. My 8 sisters and I grew up eating very natural foods, typical Mexican foods and diet, but no canned foods. I feel that dietary labels are so strong. People are so accustomed to saying you have to be vegan, you have to be vegetarian. I don’t have to be anything. Today I can wake up and eat vegan, and tomorrow I can eat whatever I want. As a mother of 2, how do you implement healthy eating habits with your children? Was this something you thought of before you had kids? I have always had pretty healthy eating habits, so when I was pregnant for the first time, 10 years ago, I ate everything organic, I ate all natural foods and cooked as much as possible. Every morning I wake up and cook healthy meals for my kids to take to school. They don’t eat the food provided at their school. I made the choice for them to be healthy. Now the parents of my kids’ friends have asked me for my recipes! Do you have any advice for other parents learning to implement healthy eating habits with their kids? Get your kids involved with cooking! I have a garden at home, we have a 30 foot passionfruit vine, papaya, moringa, habanero, tomato, lavender, lemongrass, rosemary and thyme. I have all the kitchen essentials, so when I cook at home, I have my kids go to the garden and pick out what we need. You have to get them involved so they know what they’re eating. It’s been proven if you grow something and prepare it with them, they’re more likely to eat it. You have to be proactive to get them involved in the whole process. What is your favorite Todo Verde menu item?